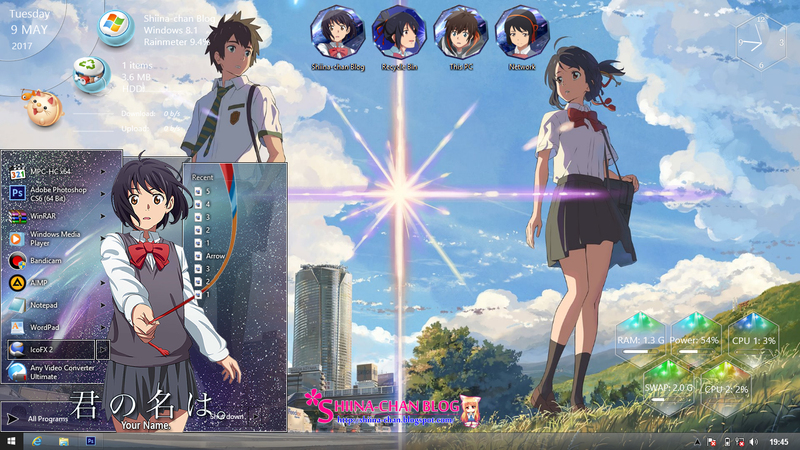 Today I want to share my new theme Kimi no nawa. 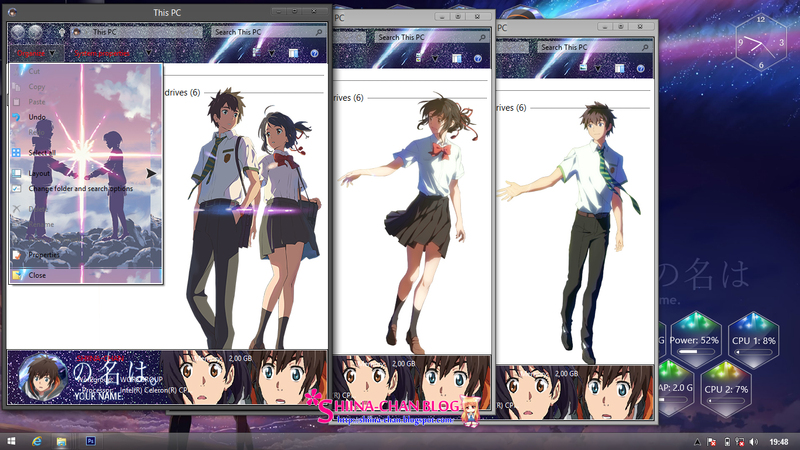 (Your Name.). 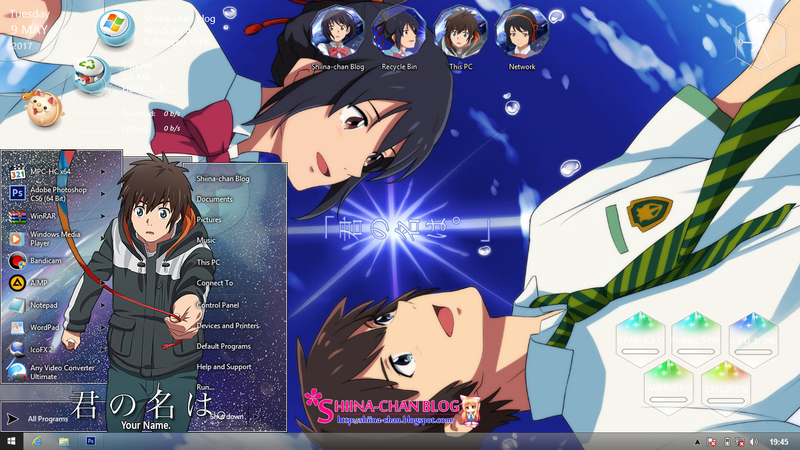 You can get this theme free for my blog (Shiina-chan Blog). 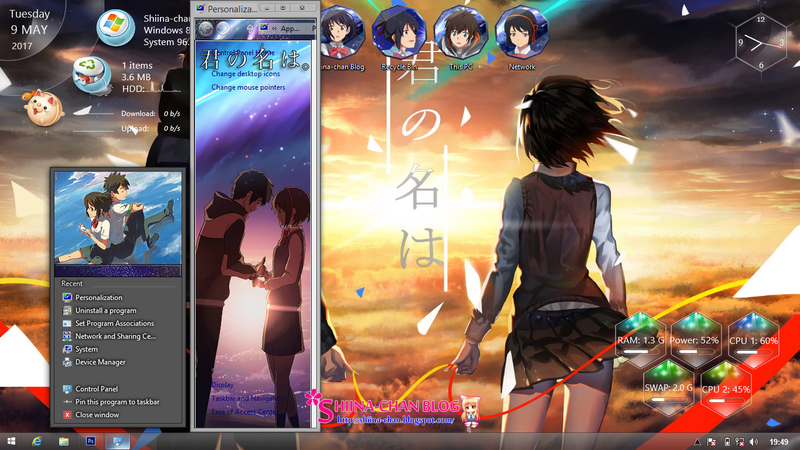 This theme not support for Windows 10 ver. 1607. 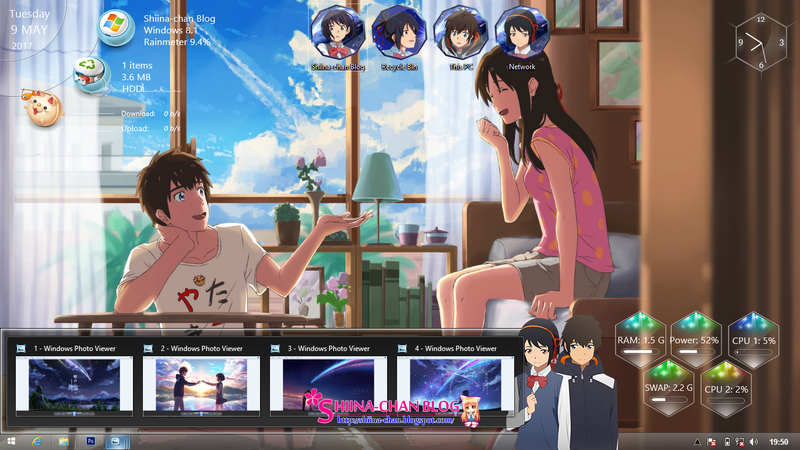 If you use this theme for Windows 10 ver. 1607, your Operating System will be damaged (Black Screen). See the tutorials for using windows 8, 8.1 and 10 themes in this link.